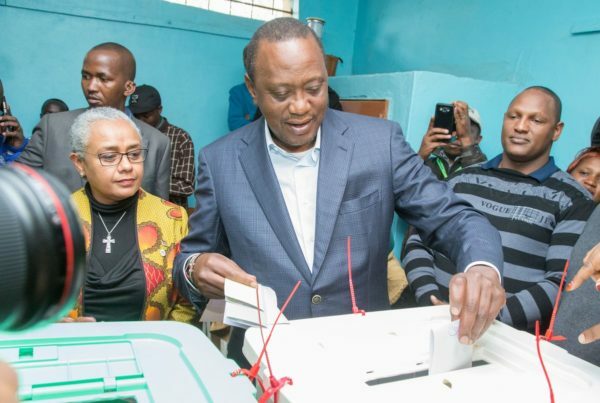 Uhuru Kenyatta’s victory tainted by low turnout – Royal Times of Nigeria. President Uhuru Kenyatta is cruising home to victory as the result of Kenya’s rerun election trickled in on Friday. But it is an assumed victory that is tainted with early estimates of the turnout at below 35 percent, compared with the 80 per cent turnout in the 8 August election. The poll snub by voters indicated that they heeded the call by the opposition leader Raila Odinga, to stay at home. In all, four people were shot dead by police – three in the pro-Odinga western city of Kisumu, governor Anyang Nyong‘o said, and one in the neighboring county of Homa Bay, according to police.